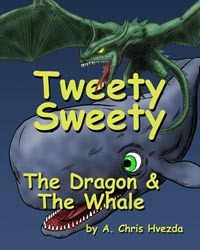 When Tweety Sweety goes out to play on a cold and snowy winter's day, a big mean dragon spoils his fun and he ends up a long, long way from home. 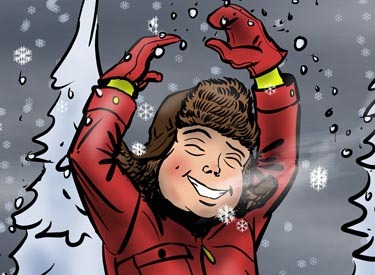 This is a 56 page, full color book for children written and illustrated by A. Chris Hvezda. Paperback, 8 x 10, full color, 56 pages. or used in any other manner without the prior written consent of A. Chris Hvezda.